The Los Saguaros Trumbull Model offers a large courtyard off of the attractive portico. The Trumbull entrance welcomes as you into this lovely 4 bedroom, 2 bath home. The secluded master suite features a large walk-in closet along with his and hers sinks are partitioned by a soaking tub. The Los Saguaros Trumbull Model brings about the perfect work-from-home space with the centrally located den. This space can also be used as an optional 5th bedroom. This home also boasts a huge covered patio off of the nook as well as a functional three-car tandem garage. 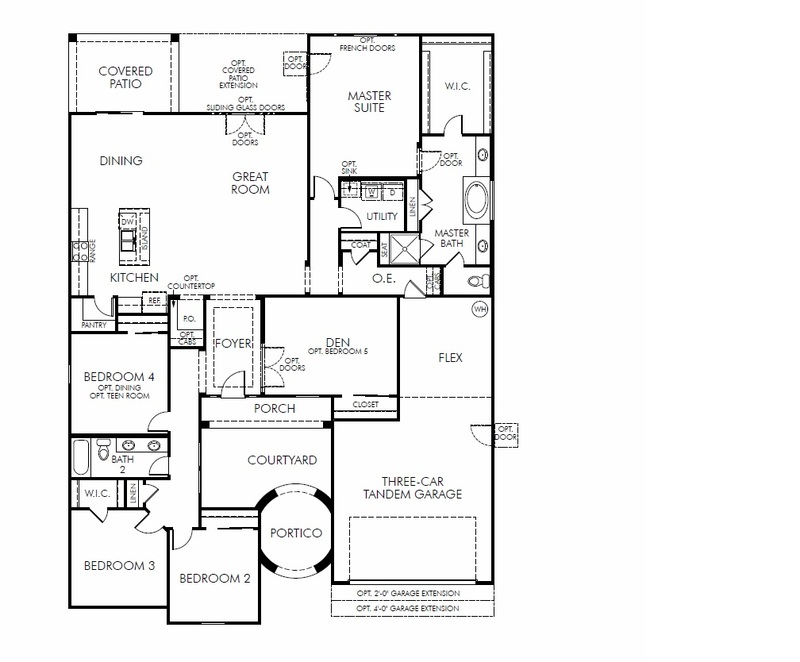 The Los Saguaros Trumbull Model Floor plan has a variety of options to change the rooms and expand the square footage of the home. There are also 3 elevations for the Los Saguaros Trumbull Model. Los Saguaros at Dove Mountain homes are served by the Marana School District. The dove Mountain community offers an array of amenities nearby that include: Golf Courses, Parks, Spa and fitness facilities, Hiking Trails and of course views. Moving to the Tucson Arizona area or considering Tucson for a future place to call home? Tucson has many things to do all year around including golf, pickleball, hiking and more.